American Beer Day is a day dedicated to drinking brews made in America. Over 200 million barrels of American beer are sold each year, and Americans spend over $100 million on beer annually. The United States is only second to China in the number of breweries it has and the amount of beer it produces. Beer consumption in America has ebbed and flowed, but as of the late 2010s, beer has been flowing more than ever. Beer making can be traced to about 6,000 years ago in ancient Sumeria. At that time, beer was cloudy because of the lack of filtering, and it was drunk through a straw. By 2000 BCE, the Babylonians were brewing twenty types of beer. The Egyptians, Greeks, and Romans made beer, although wine became much more popular with the Romans—they considered beer to be the drink of the Barbarians and it was only popular on the edges of the Empire. Germanic groups were brewing beer by 800 BCE. In the Americas, Native Americans were making beer with corn before the arrival of Europeans. By the seventeenth century, Dutch and English settlers were making beer that was consumed locally. In the 1800s, Louis Pasteur discovered the role of yeast in the fermentation process, as well as pasteurization. Soon came along automatic bottling, commercial refrigeration, and railroads. All of these advancements allowed beer to be more easily produced and distributed, and it became the most popular type of alcohol. By 1880, there were 3,200 breweries in the United States. Prohibition closed them, and in 1983, fifty years after its end, there were still less than fifty breweries in the United States. Today the number of breweries has blossomed to beyond what it was in the late nineteenth century, aided in part by the rise in the number of small craft breweries. There were over 3,000 breweries in the United States by the mid-2010s, and the number reached over 5,000 by the late 2010s. California has the most breweries, followed by Washington, Colorado, Michigan, and New York. Craft breweries are considered microbreweries if they produce less than 15,000 barrels of beer in a year. Of the breweries in America, 95 percent fall into this category. About a quarter of breweries are also considered brewpubs, and they usually brew less than 1,000 barrels a year. The largest brewery in America is Anheuser-Busch, which is the maker of beers like Budweiser and Bud Light. It is followed by Miller Coors, which makes beers such as Miller Lite, Miller High Life, and Coors Light. 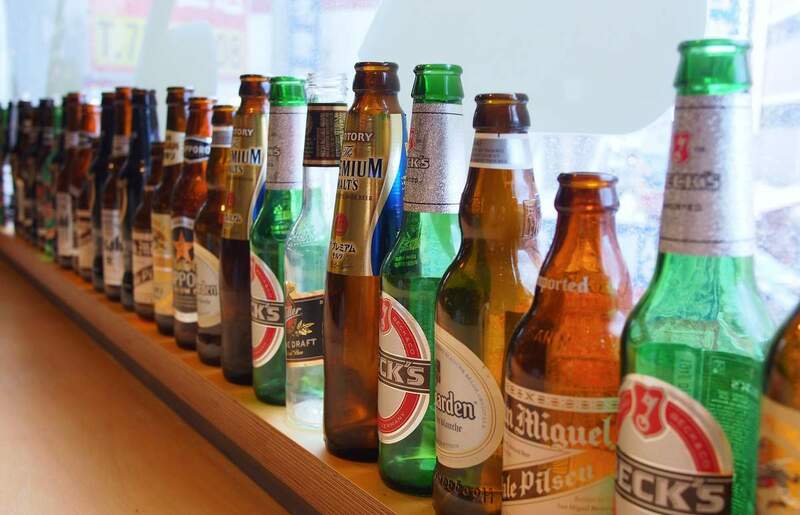 The most popular style of beer in the country is the American pale lager, and other common styles include IPA, porter, stout, brown ale, American pale ale, and Belgian style ale. American Beer Day, also known as National American Beer Day, is observed next on Sunday, October 27th, 2019. It has always been observed annually on October 27th.